This smart grey jacket has no breast pockets, but two large lower square pockets that have flaps that do up with a button. The jacket itself does up with a zipper. 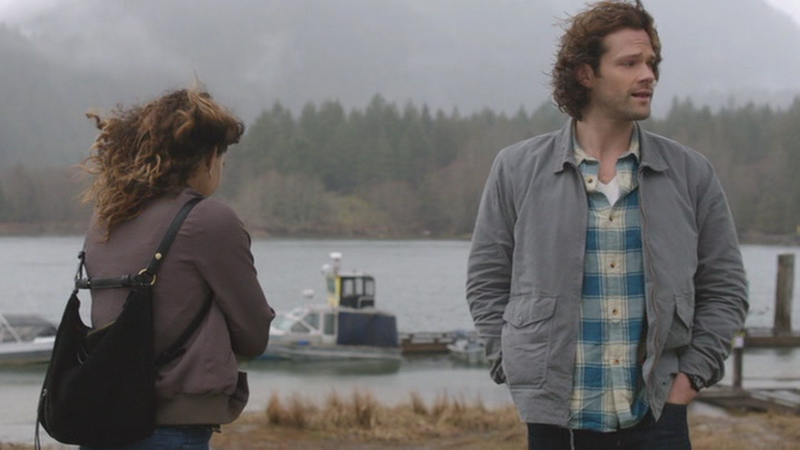 In Twigs & Twine & Tasha Banes (12x20), Sam wears this jacket to meet up with Alicia and Max. He takes it off briefly when they are hanging out in the B&B with Tasha, but puts it back on again when he goes to pick up the take out, wearing it for the rest of the episode. Hi friend, have you seen the new sam jackets? If it's in S13 or 14, I haven't done those yet. Are you watching 14 supernatural?